Which Historic Neighborhoods Are These? 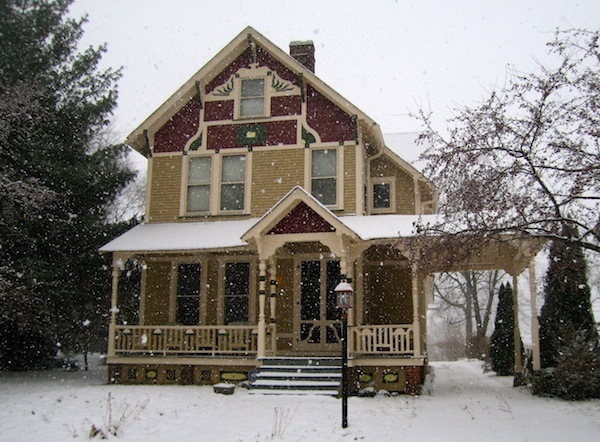 In December I met with clients to show homes in one of Indianapolis' historic districts. The snowfall that day was amazing; big thick flakes, falling steadily. After showing homes, I decided to take some pictures of the neighborhood along with another historic neighborhood on my way home. Guess which historic neighborhoods these homes are in and you can win a $50.00 gift card to Rathskellar, another great historic building in Indianapolis. Hint: It's two different neighborhoods, both east of Rathskellar. The contest runs until February 28th and all correct answers will be put into a drawing. Enter your guess in the comments section below and good luck! This months photo contest was more difficult than I expected. Still, one brave person dared to try and guess. The answer is Lockerbie Square and Woodruff Place. Congratulations Abby for taking the challenge and winning! Photos are copyright of Paula Henry and HometoIndy.com. All rights reserved. Thank you T! 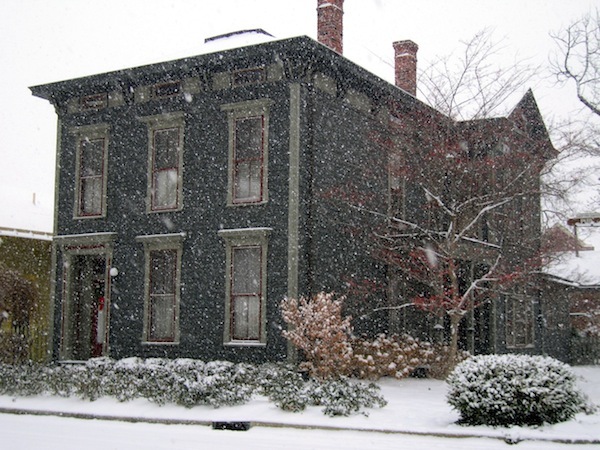 I love the historic homes in Indianapolis and this was a great day to capture a winter shot. Abby - Thanks for joining in our contest! You pegged the first neighborhood correctly. Please try again on the second one.